Even the umbrellas are pink. All photos by Courtney Cain. 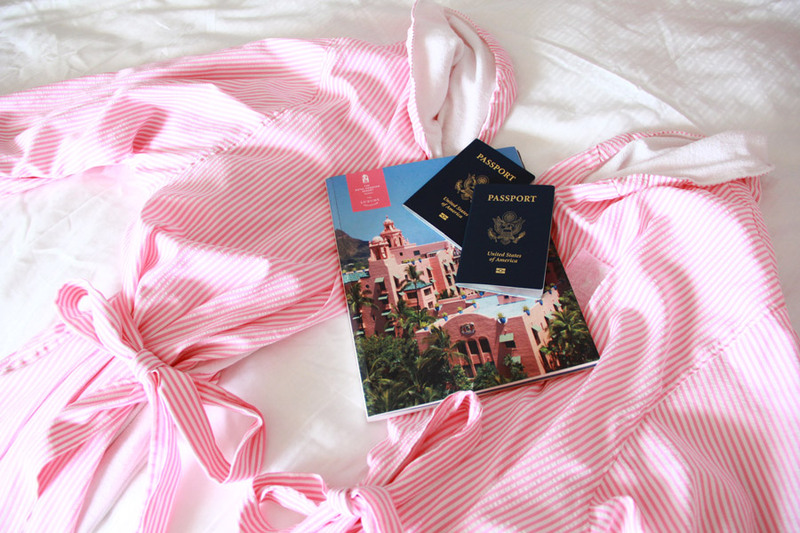 A few days at The Royal Hawaiian and you will start looking at the world through rose-colored glasses. WAIKIKI – Sometime after my third mai tai at in Honolulu, it came to me: I, too, was meant to be royal. Maybe the Kardashian clan is on to something. 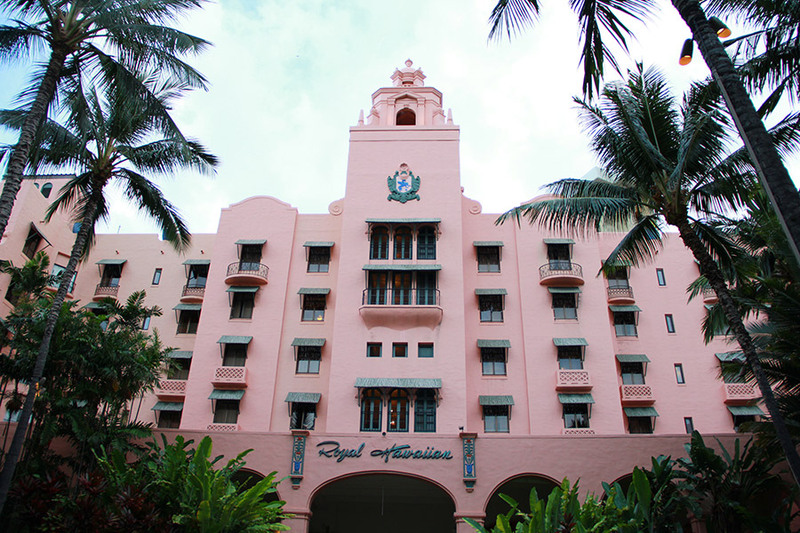 The Pink Palace of the Pacific was built in 1927 and recently celebrated its 90th birthday. The walls are a pale millennial pink, the drinks are served in whole pineapples, and its signature cakes come covered in shredded coconut dyed a pale coral. 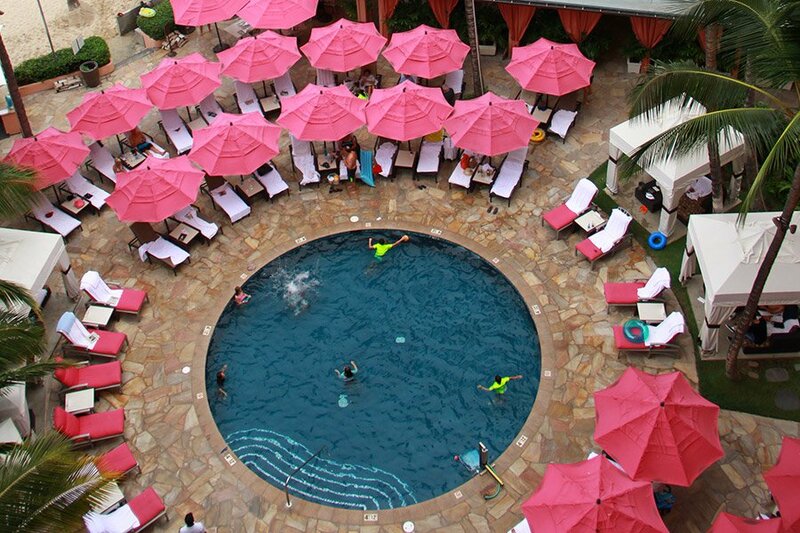 From above, blush-colored umbrellas ring a small azure pool. It is undoubtedly the most Instagrammable hotel on Oahu. The luxury beachfront hotel was built for well-heeled mainlanders sailing on Matson Navigation Company lines in the mid-1900s. Back then, visitors wanted to stay in rooms facing the Koolau Mountains — an escape from the waves that lashed their ships for weeks at sea. Celebrities and Hawaiian royalty stayed, as did the Waikiki Beach Boys. These days, the place can be inundated with tourists from New Zealand, Australia, and China. They come for the mai tais (96,000 served last year) and the weddings. Brides enveloped in layers of white silk like elaborate cakes wander the halls. And the millennials. They flock to the pool for photos with the bright pink chaises, the pink champagne, the pink walls, and the pinstriped pink bathrobes. It's like a pink castle. Chic and pink, I've never felt so royal before. 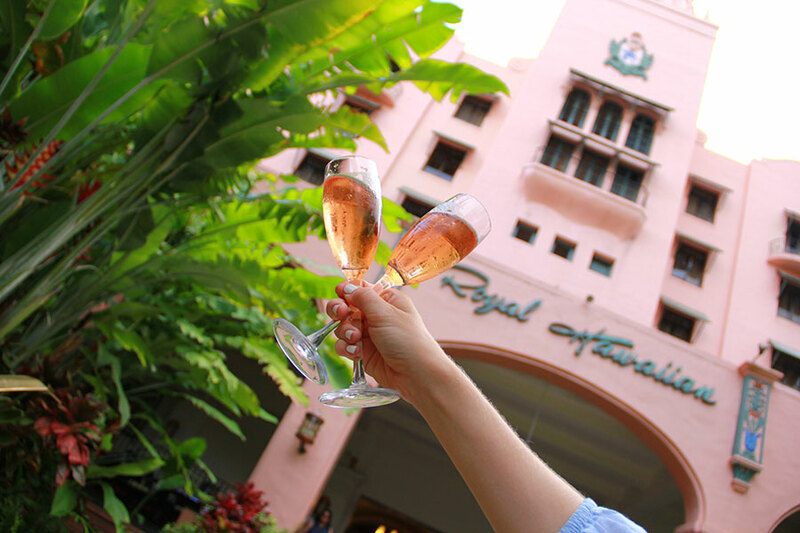 Though its main drag is the two-mile Waikiki Beach (a tourist hotspot crawling with surfers, swimmers, paddle boarders, kayakers, sunbathers, and toddlers), The Royal Hawaiian and its stately inner courtyard serve as an escape from hectic surroundings. The coral-colored hotel was the second of its kind to be built near Waikiki Beach. The six-story resort was designed in the Moorish and Spanish styles that were popular at the time of construction. Stucco façades adorn the exterior and cupolas dot the roof. Expect luxury. Coral chaises fan the pool and along the beach, the massage menu features local Hawaiian oils, and the Mai Tai Bar serves more than half-dozen varieties of the Hawaiian signature drink. There is also valet parking and a free one-day GoPro rental to capture every mermaid moment. And, really, you can't forget the h, pinstriped bathrobes. Upgrade to the newly refreshed Mailani Tower lounge for the complimentary hors d'œuvres, happy hour drinks, and a continental breakfast that includes homemade scones and coffee that will make you feel invincible. , , and are also delicious. Freshly baked scones are a must in the morning. In the evening, head to the bar for the pineapple drink. It literally comes in a whole fruit — and it will break your Instagram. The beach is clean and beautiful. A true paradise. There are 528 rooms concentrated in two areas: the recently remodeled Mailani Tower, which faces the ocean, and the historic wing. Free WiFi, Netflix (all we need to decompress after a day in the sun), soft sheets, pink bathrobes, macadamia nut treats. While the pool is beautiful, it's small. But Royal Hawaiian guests can swim at sister property next door. 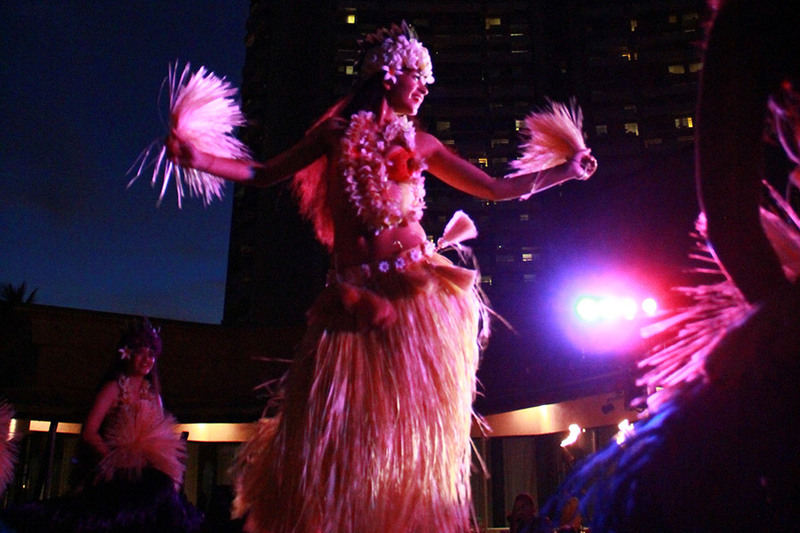 Take an on-site yogaquatics class (yes, there are young people there), or a lei-making lesson or, if you're daring, hula lessons. Splurge for one of the weekly beachside luaus held on Mondays and Thursdays. The show chronicles Oahu's history from the early monarchy to the U.S. Navy days. Feast on traditional Hawaiian cuisine under a wide sky. Balmy sea breezes and the strum of ukuleles drift into the air during the performance. Immerse yourself in the pink. Waikiki Beach is one of the most famous and touristy neighborhoods in Honolulu — though it wasn't always that way when Hawaiian royalty surfed here in the early 1800s. Today's it is filled with resorts, and people are drawn to the man-made two-mile stretch of white sand beach. Hiking on Oahu is unparalleled. Trek to the top of nearby , a volcanic crater crisscrossed by switchbacks, stairs, and tunnels. The views from the top are some of the best on the island. The Royal Hawaiian offers free guided hikes. and learn to ride the waves. 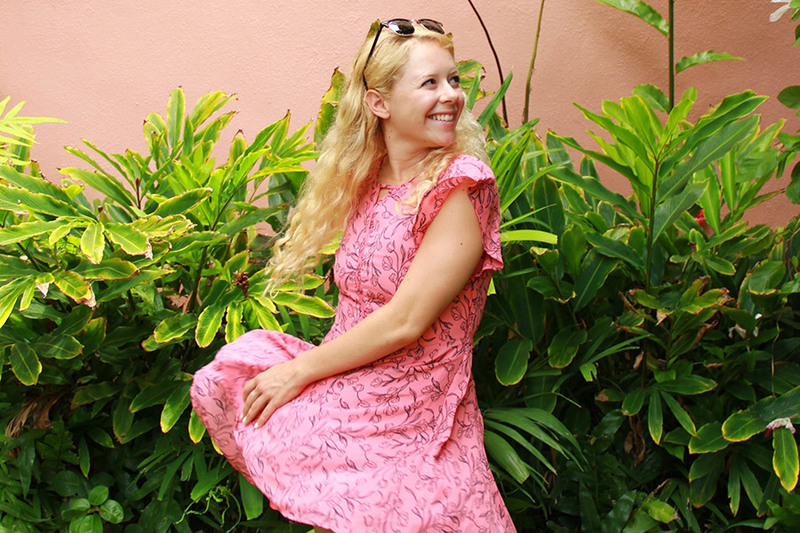 Bring lots of sunscreen: The sun in Oahu is strong. 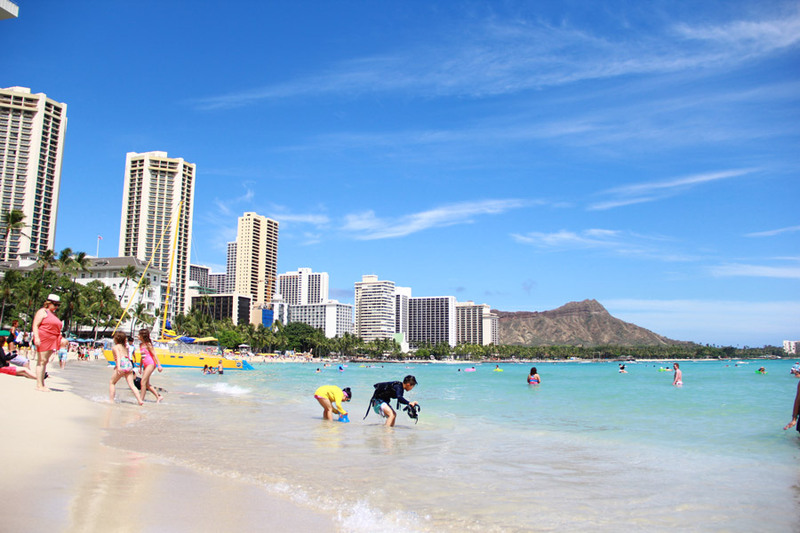 Everything in Waikiki is a quick walk or bicycle ride away. Snag a taxi from the airport and don't worry about car rentals. Elizabeth Jognson is a journalist based in San Francisco. You can follow her on . She travels for the tiny hotel shampoos and the sheer joy of experiencing new things.